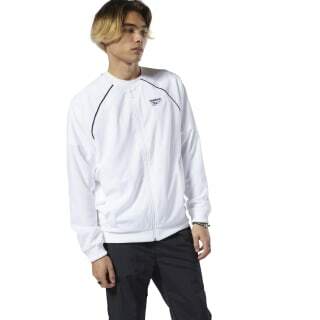 This iconic track jacket for men gets an airy update for warm weather. The contrast piping on sporty raglan sleeves make this slim-fitting, retro look stand out. 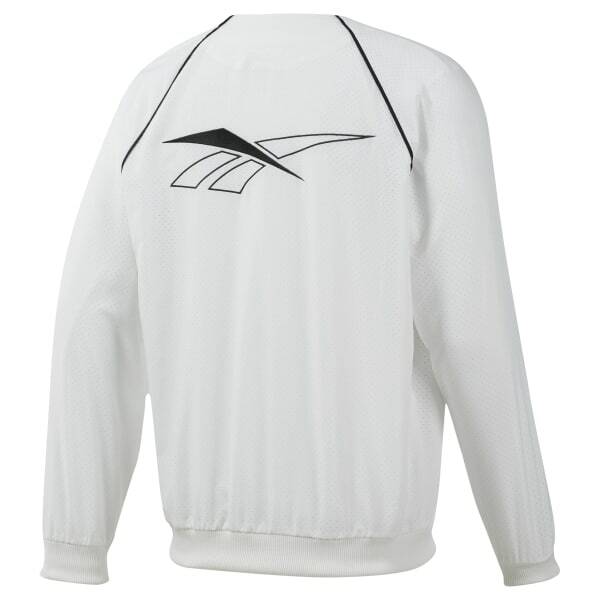 The perforated fabric provides a cool, breathable feel.